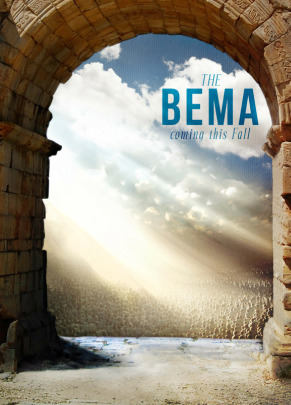 Experiencing The BEMA is a powerful one and there several questions sure to arise as a result. One of the first may very well be, “What does the Bible say about The Bema?” If this is a question you have, we highly recommend you read I & II Corinthians, especially I Corinthians 3 and II Corinthians 5. By now you probably know The BEMA is in two parts and we will release some questions to help you in study and reflection at the conclusion of Part II. In the meantime, here are some things to consider. After experiencing Part I of The Bema, you may be a bit “shaken up”—this is a good thing. Often times God will use a singular experience to shift our perspective. Are there any changes in perspective you encountered as a result of The Bema Part I? During the coming week, percolate on some of the changes in perspective you may have encountered. Spend some time in real introspection—are there questions that are arising, questions that seem personal? If so, this is also good thing. We believe this is the Holy Spirit’s prompting. Take time to be honest with yourself and answer the questions that pop into your head. Write down, these questions and answers. Use them as a point of reference after The Bema Part II. More to come after The Bema Part II. For kiddos, The BEMA will also be very impactful and they may be wrestling with some similar questions that you are. Below are some conversation starters for the ride home, dinner or sometime during the week. Please know these are merely conversation starters. Our hope is that God uses this experience for you to minister to your children. Who was your favorite character in the story? Why? What do you think is going to happen next week when Daniel has his time with Jesus?